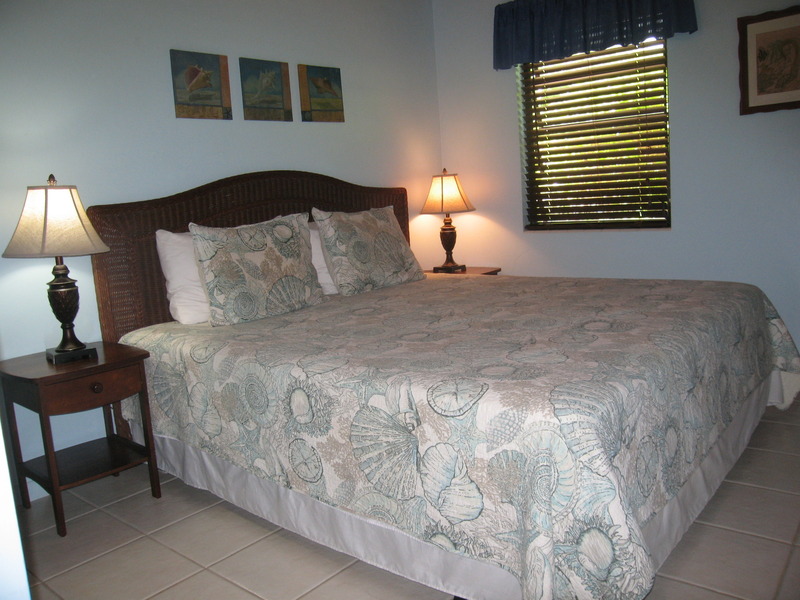 Welcome to Conch Shell Beach Villa , Spanish Wells Bahamas. 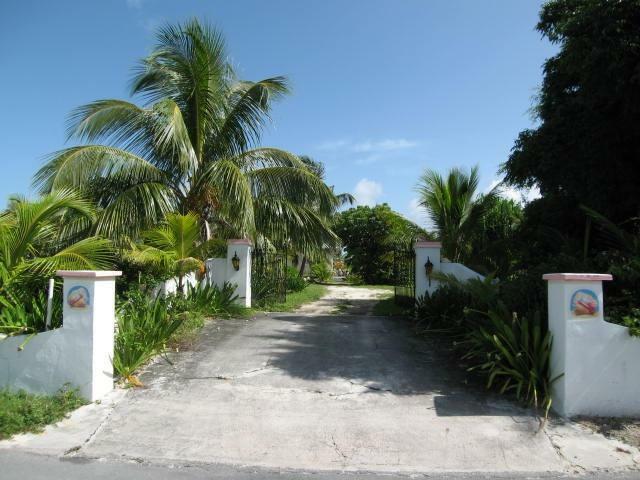 This charming beachfront villa is located in the quiet western area of the beautiful 2.5 mile long delicate pink sand beach of Spanish Wells, Eleuthera, Bahamas. This area of Spanish Wells Bahamas offers some of the best bonefishing in the Bahamas. 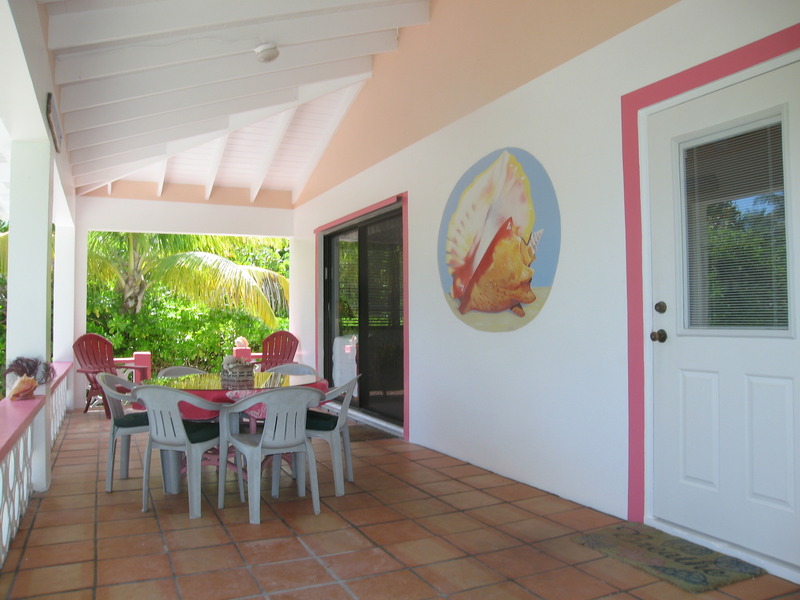 Conch Shell Beach Villa is located on more than 1.5 acre of beach front property so that it offers much more privacy than most of the beachfront rental properties (which are typically situated on 1/8 acre or less). 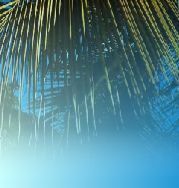 This lovely vacation villa rental offers a large private garden with many coconut palm trees, an abundance of flowering trees, sea grape trees, coco plum trees, and large native Bahamian shade trees. This beachfront garden is a great place to relax in the hammock and peacefully read a good book. The interior of the home is decorated in the very colorful island tradition with much of the furniture of wicker and rattan. 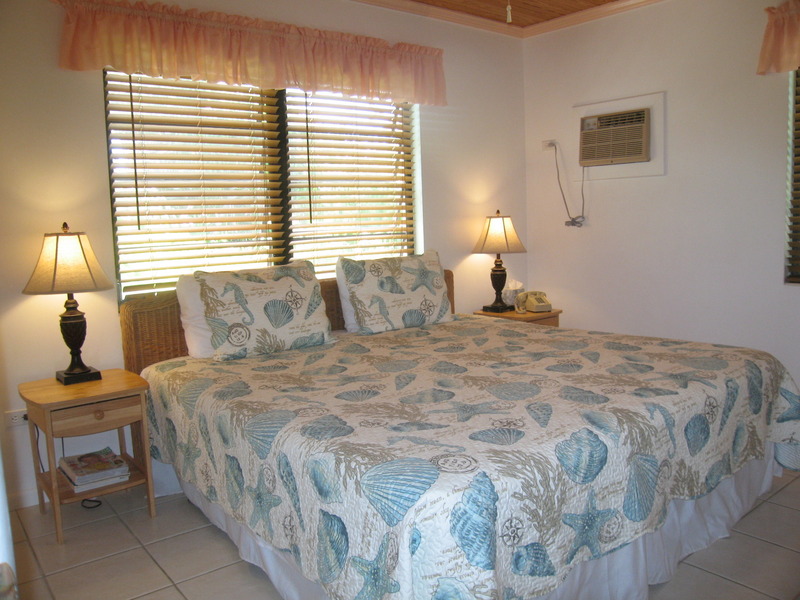 There are two bedrooms, two bathrooms, a large great room, and a full kitchen.The villa offers every convenience including cable TV, DVD/CD player, washer & dryer, microwave, paddle fans in every room, and air-conditioning throughout. Unlimited high speed internet is available.) 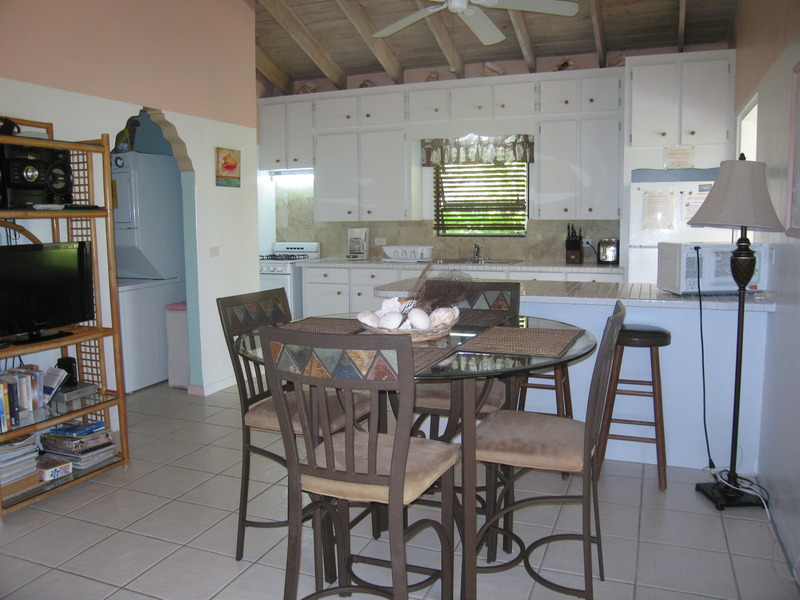 There is a wonderful ocean view from the great room and the kitchen. There is an expansive covered front porch that offers up a fantastic ocean view. This is a great place to relax and read a book on the chaise lounges in the shade, or to dine outside while taking in the view. Adjacent to the porch is an outside shower so that one can rinse off salt and sand before entering the house. The Spanish Wells area is well-known for its great fishing and snorkeling. The Devil's Backbone Barrier Reef is just offshore. 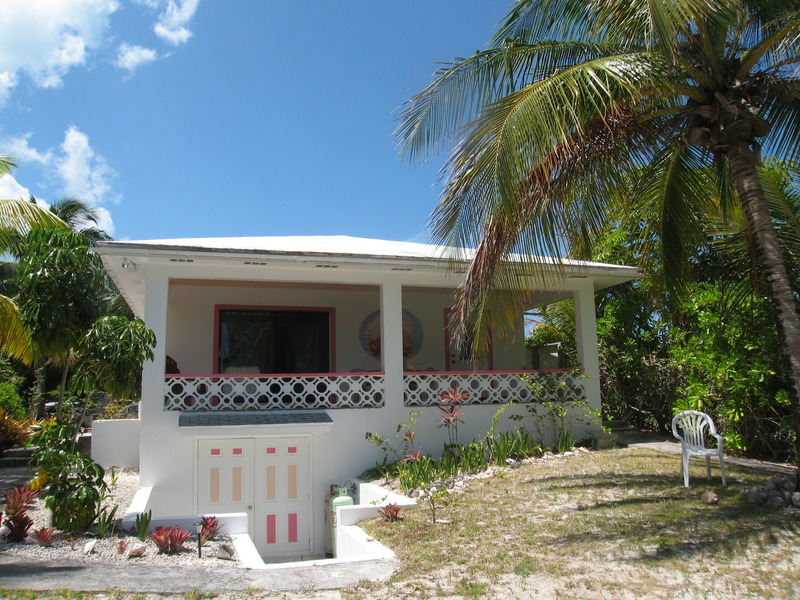 Guests of Conch Shell Beach Villa have free use of excellent fishing cleaning stations. Terrific bonefishing can be had right in front of Conch Shell Beach Villa. 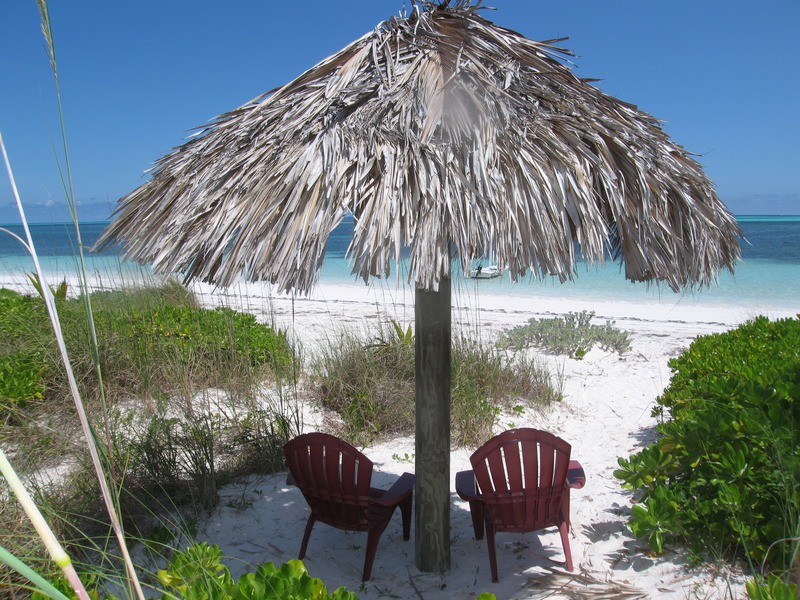 In Spanish Wells Bahamas, you will never run out of things to do until you want to. The native Bahamian quilt makers, the local straw vendors, and the museum are always fun to visit. A visit with local fishermen as they bring in their fresh catch each day can be both informative and delicious. A frozen drink at the water front bar is relaxing and offers up beautiful views of the yachts passing by. A trip on the Fast Ferry to nearby Harbour Island is a delight, and you won't want to miss the local restaurants, the new gym, the bakeries, and the best fishing and snorkeling that the Bahamas has to offer. Beds: 2 kings, and one queen sofa sleeper. Accommodates a maximum of 4 adults and 2 small children. Rates for Max. 4 adults plus 2 small children: $1895/wk. Oct. - Dec. 11. $2295/wk. for Dec. 20 - January 14. 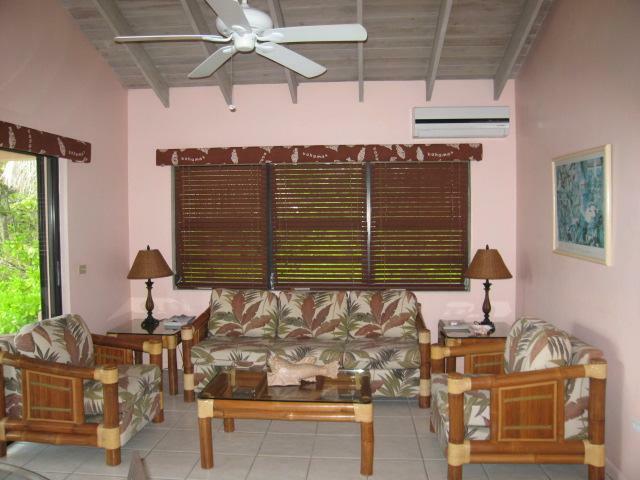 2 week minimum rental + 8% surcharge required for Christmas / New Years weeks. $2195/wk. for January 16 - February 16 & April 28 - August 18. $2295/wk. February 17 - April 27 . $2095/wk. for all other dates.Please ask about discounts for stays of two weeks or longer. There is a $600/wk. refundable damage deposit required with final rental payment. Note: The rental rates are for accommodations at Conch Shell only. The motor boat , ocean kayaks, and bicycles are offered free of charge for your use at your own risk. Note: An energy surcharge is applicable on this rental for any electricity bills in excess of $100/wk. Cleaning fee $100 for up to 4 persons, $150 for more than four persons per stay.